Read SK Clinic reviews and reviews on Stephen M. Krant, M.D. Dr. Krant performed a major surgical procedure on me, and I am very impressed and happy with the results, his ability, bedside manner and fees. I was prepared for every step of my surgery by him and his staff, and my recovery was relatively short. My Brother who also is a medical doctor accompanied me to Krant's office for the surgery and was equally impressed by his facility and training. Dr. Krant was recommended to me by another local medical doctor who stated that Dr. Krant is the one surgeon other doctors refer to when someone else screws up. I would highly recommend him to anyone who is looking for quality results and care. I am so happy with my experience with Dr. Krant. I always hated my nose and I was always too scared to have someone touch it, but I’m so glad that I got the gumption to have a nose job with Dr. Krant. After researching a lot of doctors, including famous Hollywood doctors, I ended going to Dr. Krant. During my first appointment he talked to me about what he would do and showed me pictures of noses he had fixed before. And the first thing I noticed about him is that he was not trying to sell me a nose job he just carefully explained the structure of the nose and what he would to mine. He asked me what I didn’t like about my nose and I told him, I had a big bump and a bulbous tip and a deviated septum, and then he told me that he would slightly pull it up and take off the bump and make it smaller. After that I had my post-op and then my surgery. After my nose recovered and healed I was so happy! My nose is smaller and straight and I can finally breathe! He did such a beautiful job on my nose, he completely transformed into a better nose without making it look unnatural. My friends and family can see the bump is gone on my nose but my nose looks so natural that its hard to tell that I’ve had surgery. Your nose sits on the middle of your face and it can really affect the harmony of your face. If your serious about surgery then I recommend Dr. Krant he is really an artist which a good plastic surgeon should be and whats also great is that everyone at SK is nice and polite. And after the surgery he meets with you many times to check up on your nose. I highly recommend this doctor I had a great experience with him and I would tell anyone to go to him without hesitation. Three weeks ago I had a Facelift, Malar lift and Brow lift, and am so pleased with the results. I cannot believe how quickly I am healing. I attribute that to Dr. Krant's skill and knowledge. Dr. Krant is very knowledgeable in the structure and anatomy of the face, and uses that to you advantage. I have no visible scars and people have difficulty figuring out what changed. He is so honest and open in explaining to you what will work and what is best for your personal needs. I trust him completely and would recommend him to everyone. I have worked in the medical profession for over 40 years and did a lot of research before I chose Dr. Steven Krant. I have not regretted a single moment; I actually enjoyed the entire process. (Yes, there is a little discomfort but it wasn't that bad and they prepare you well). Dr. Krant and his entire Team are very attentive, personal and work very closely with you through the whole process. I was very impressed with their prep communication in preparing me for that big day. Follow up care and attention is above and beyond, I always felt like everyone cared about my recovery and my satisfaction with the surgery. I had a private nurse for two days post op and would highly recommend that to ensure your comfort the first few days, and your family or home caregiver will greatly appreciate it. I only wish you could see my before and after pictures. A couple of years ago Dr. Krant replaced my saline implants with silicone implants and while he was at it he repositioned the left one that had been migrating near my armpit. The surgery went exactly as expected and they ended up looking and feel perfect. I just LOVE them. He is very detailed oriented, precise and does meticulous work. His personable and caring attitude is evident the first time you meet him. He actually cares about his patients - has excessive follow-up appointments (almost too many!). He and his staff follow you through even the most minor procedure and make sure you are more than satisfied. And yes, he is very expensive!! You get what you pay for! As a matter of fact, I trusted him so much that this year he performed a rhinoplasty (nose job) on our 16 year old daughter. We brought her to 3 different doctors to get opinions (not wanting to bias her on the doctor I had already decided on - Dr. Krant). Completely on her own, she chose Dr. Krant hands down! His honesty, kindness and gentle bedside manor won her over immediately. (Not to mention to his recommended technique for the rhinoplasty made much more sense then the other two) There are so many horrible nose jobs out there it was very scarey putting our daughter through it but we were comforted knowing she was in expert hands You should know that he is always conservative and never overdoes his work. Our daughter's surgery was $1,500 more than the other doctors quotes but worth every penny. 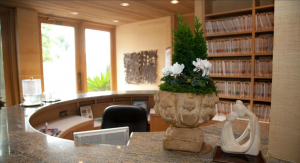 He's been voted one of the top plastic surgeons in San Diego for the past 20 years. Obviously he has many, many more satisfied customers than these few on Yelp. As a matter of fact I have never written a comment on this thing for anything but on doing a search for Dr. Krant (I'm looking into getting a lip augmentation from him now) I came across these negative comments. I just HAD to put my two sense in. This doctor is NOT a crook! He's extremely knowledgeable, experienced, talented and kind. Oh, I just have to throw in all the charity work this man does for women suffering from breast cancer!! Look it up. He is a SAINT! Keep up the fabulous work Dr. Krant!! My experience with Dr. Krant and his staff was first class. I was treated with respect and kindness, my results are so fabulous and beautiful that no one can tell what major procedure I had done and after enjoying a massage at SK Sanctuary next door, I remember thinking this kind of five star service and results are why Dr. Krant has such an impeccable record in La Jolla and San Diego.